Although they released only five EPs in their first ten years recording together, controversial Detroit techno duo Drexciya became one of the most celebrated and influential names in American experimental techno. One of the few groups to use techno as a political tool in effecting criticism of racial inequity and inner-city recovery, Drexciya brought a wider social and aesthetic agenda to a style in which allegiance to the beat is typically the only prerequisite. Closely associated with the “Mad” Mike Banks label group Underground Resistance and operating in the classically covert tradition of “faceless” techno (the pair’s identities remain a mystery), the group’s reputation at the bleeding edge of Detroit-school experimentation is pretty much universal, with everyone from Jeff Mills to Mike Paradinas getting in namechecks. 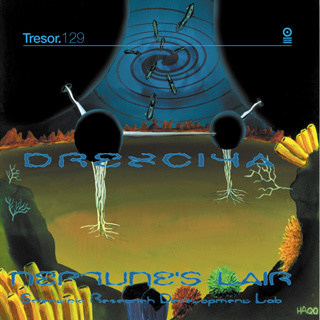 Despite their steadfastly underground attitude, Drex’s records have found release through such internationally renowned labels as Warp and Rephlex. Offering an often relentless fusion of early electro and techno with elements of acid and industrial music, Drexciya’s fast-beat backbone and tough-as-nails rhythmic bite are among the most austere and uncompromised in contemporary techno.